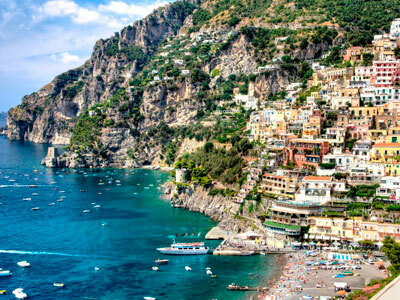 I was working on this photo today and was struck by how much it reminded me of living as a teenager on the Amalfi coast. The colors sky blue and tan in the sunlight bring back great memories in a beautiful land. See what I mean? I’m headed to NYC tomorrow for a 2016 fashion trending seminar. The holidays are over and it’s time to get back to work. Pantone’s color of the year is Marsala. Since 2000, the Pantone Color Institute has been identifying a color it considers to “express in color what’s taking place in the global zeitgeist.” If you look closely at the top corner of the purple pillow in my photo, you can see a spot of Marsala at work- just a touch. I chose the three pillows you see here for a reason. Color is associative. Marsala or any color affects other colors and is affected by them. If you choose Marsala, you still need to decide what it goes with and where to put it. One of the things I like about working with flowers is that right out of the gate the palette is limitless. Flowers and light and foliage impact one another in so many ways. 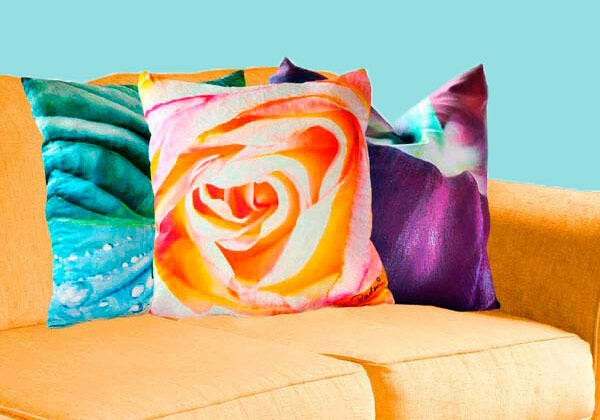 I discover color associations that I would never wear or paint my house with but that work on pillows naturally. Sometimes, it’s the shapes in one design that go well with shapes of a different color in another pillow. The three pillows are different colors but are similar in their organic forms. A hosta leaf, a full rose and a purple tulip. A pillow family! Applying color to home décor is tricky- as furniture, paint and pillows tend to be around longer than fresh flowers. Some colors are easier to live with as a soothing backdrop; other colors offer stability or trigger excitement. You can read more here about how Pantone looks at the world of choosing colors: http://www.pantoneview.com/en/pantone-color-of-the-year-2015. I’ll keep you posted where we’re headed in 2016 when I get back from New York.